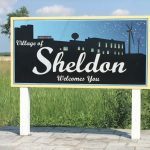 LACON — Residents of Marshall County and environs who are interested in two commercial solar energy projects proposed outside Henry will have an opportunity to learn more about them Thursday at a county Zoning Board of Appeals hearing. 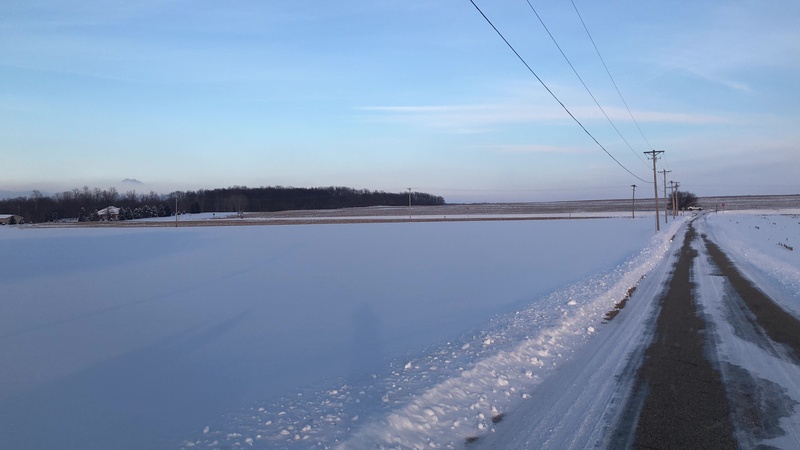 The panel will consider whether to recommend special-use permits for the installation of solar collection and transmission systems on two approximately 18-acre “dry corners” of non-irrigated farmland just north of town and near Illinois Route 29. The hearing will be at 7 p.m. in the courtroom in the county courthouse. The ZBA usually meets in the County Board room, but it has public seating for only about 10 people. “I told (Sheriff Rob Russell) that we’ll need the courtroom, because I figured we’ll have more people,” zoning administrator Patrick Sloan told the County Board last week. The Highland Park-based firm has obtained or is working on permits for similar projects at about a dozen locations around central Illinois. Others so far are in Knox, Peoria, Putnam and Tazewell counties. The company has conducted informational meetings in several locations, and the county’s public hearing process should serve that purpose well, Carson said. The ZBA’s format is structured to allow the public to ask questions as well as make comments supporting or opposing the zoning matters being considered. “It sounds like it’s going to be a good opportunity to answer questions that the community may have,” Carson said. One installation, called the Henry Project, would be just west of Route 29 on land owned by Pete Gill and family members. It would lie between County Roads 1350 North and 1450 North and would border the northwest corner of the Catholic cemetery. The other, called the Illinois River Project, would be just east of Route 29 and along County Road 1450 North on land owned by Jerry Read. That parcel straddles a railroad line and thus will actually involve separate hearings on each part. 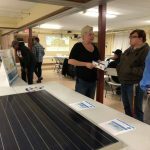 Each project would involve some 7,000 solar panels that would generate about 2 megawatts of electricity and power the equivalent of 400-500 homes, Carson told the County Board Zoning Committee at an earlier meeting. The panels rotate east to west every day and collect energy even in cloudy conditions, he added. 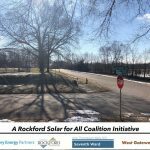 The electricity would be sold to Ameren, and any customer of that utility would be able to sign up as a subscriber to the project in order to receive benefits of solar efficiency. 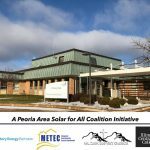 The finalization of any new solar projects ultimately will depend on state acceptance into a grant process that provides a major stream of funding for solar initiatives. The projects near Henry seem to have a good chance at that, Sloan told board members who asked how realistic their prospects for completion would be. “I’d say very realistic, because the new state law requires utilities to put 25 percent of (their production) into renewables,” Sloan said. Carson said the company makes it a priority to inform the public and earn their support. 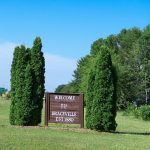 A project in Tazewell County last year drew unanimous support from voters in Fondulac Township. “We really want this to be something the community embraces,” Carson said.